Is it too cheesy to plan a father-daughter Valentine's Day? 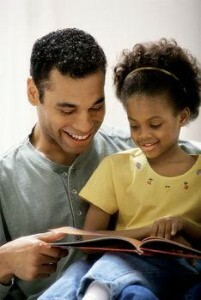 Home » Dad » Is it too cheesy to plan a father-daughter Valentine’s Day? Is it too cheesy to plan a father-daughter Valentine’s Day? Valentine's Day provides fathers with a unique opportunity to express just how much they care about their daughters. Whether she's 5, 15 or 35, your little girl will always look up to you for love, stability, confidence, reassurance and so many more important factors that only dad can provide. Here are some tips to keep in mind, depending on your daughter's age. 1. Children. If your daughter is still between the ages of 5 and 10 this Valentine's Day, you might want to go above and beyond the usual holiday card and box of chocolates to show her just how special she really is. For young ones, a day spent at the movies, planning a special lunch date or even just going for a walk through the park can mean so much. 2. Teens and twenty-somethings. Believe it or not, older girls will also appreciate dad unexpectedly penciling in some quality one-on-one time (provided they don't have other plans!). You can chat over a glass of wine (if she's over 21, of course) and discuss how her life has been progressing, developments at work, friendships, past relationships or whatever else strikes her fancy. Take advantage of the last days of winter weather and head to a local pond or rink for some father-daughter ice skating. Afterwards, build a snowman and go for some evening sledding to remember the good ol' days. 3. Adults. If your little girl is too far away to pop in on, Valentine's Day represents the perfect chance to connect and reestablish that special relationship from childhood. Call her up on the phone and check in about her current Valentine's Day plans. You can also send her a specialized care package chock full of Valentine's candies, a handwritten card and a personalized gift that reflects your close relationship. Use this opportunity to remind her how much you love her and make plans to visit soon. The most important thing this Valentine's Day is to move beyond the materialistic obsession of the holiday to emphasize the personal bond and love that exists between you and your little girl – even if she's not so little anymore.